Birds make me think of spring. And then I hear Mary Poppins singing in the background. Not really, but aren't birds great! 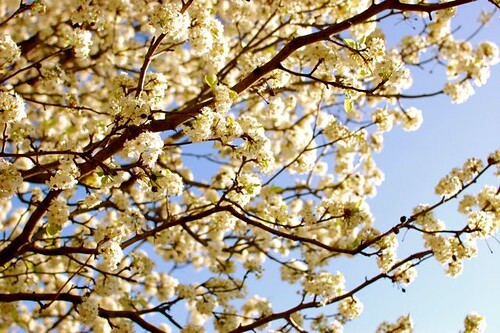 The birds, the flowers, the spring air...it's just so wonderful and refreshing. 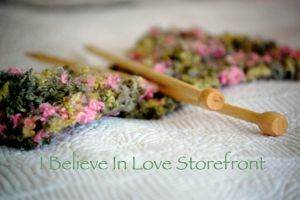 So wonderful that when these little things caught my eye I knew I wanted to make them! 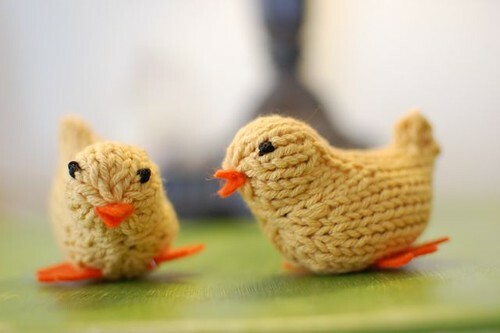 Little spring chicks and bluebirds that will end up in my kid's Easter baskets this Sunday. Aren't they cute? 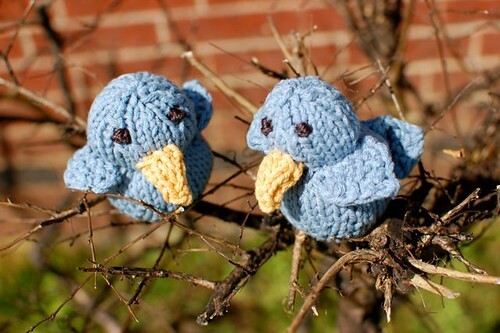 Next time around I would knit a smaller beak on the bluebirds but they're lovely nonetheless. Hope you have a wonderful day with the sound of birds chirping at your window! Wow! Thanks for all your sweet comments yesterday! You all made me feel so loved! 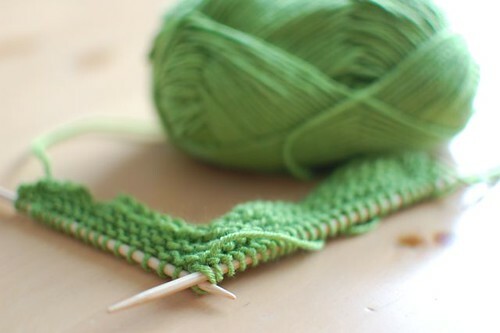 Well, I have more knitting posts coming up this week, but today I pause from that creativity to talk about something else. I was reading in The Voice Of Psalms the other day when something stood out to me. You know how you read something and whether it's where you're at in that moment, something you're going through, or just plain seeing something with new eyes, it stands out? So that's what happened when I read Psalm 33:6. This version read, "His Word is the womb of all creation." I just thought that was the coolest. God's Word is where it all begins, where it all starts, where it is breathed into existence. I don't want to dissect it too much because I think there's a cool simplicity that comes from just the way it sounds. Yes, that's the sound a frog makes! 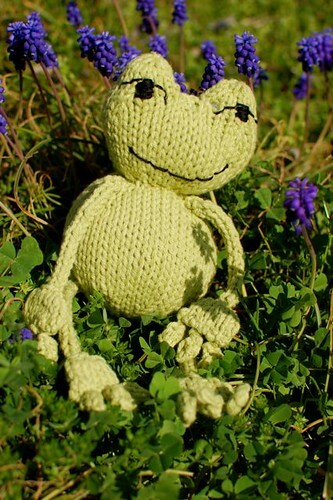 And yes, that's the name of the pattern that makes this very cute frog! Another blogger said it, but I believe it has to be true. 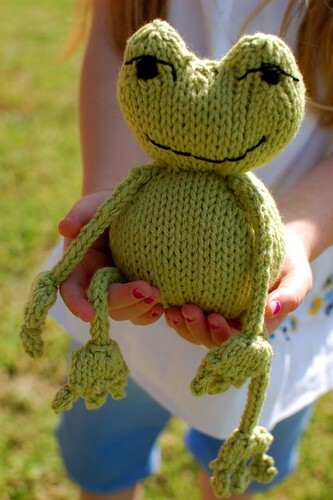 Susan B. Anderson is a toy knitting genius. 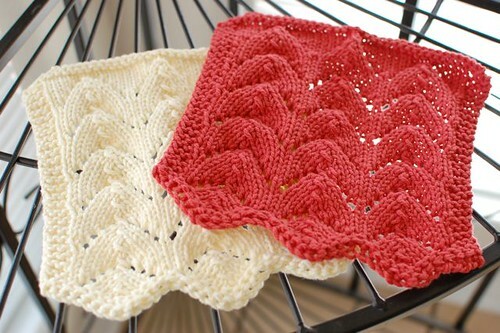 This is only the first pattern of hers that I've knit, but I've browsed Itty-Bitty Toys, and the stuff in there is just absolutely gorgeous! One day it will be mine! 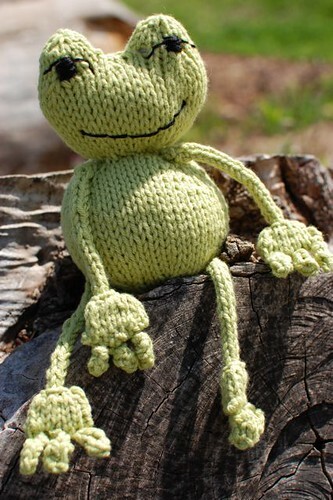 Anyway, back to the frog at hand! 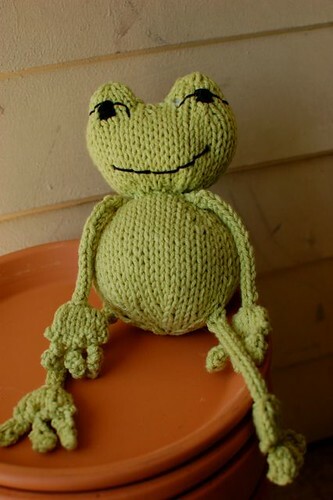 I knit Ribbit for that special baby boy whose birth I was able to be a part of. 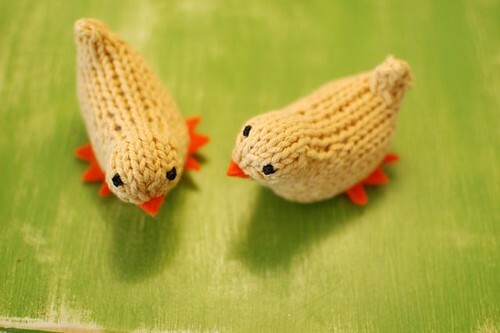 I think knit toys are just the best. They just seem so hand made. So natural. So special. This little guy has been patiently sitting on top of my books on our desk, just waiting until he could go to his new owner. We had a "Sip and See" this weekend so Emma Grace gave this as her present to Ty. I hope he likes it as much as my two have liked it! 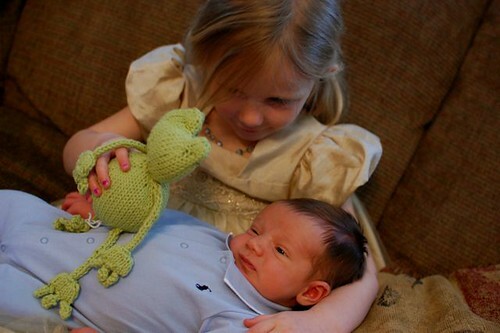 The instant they saw ribbit, they wanted one of their own! 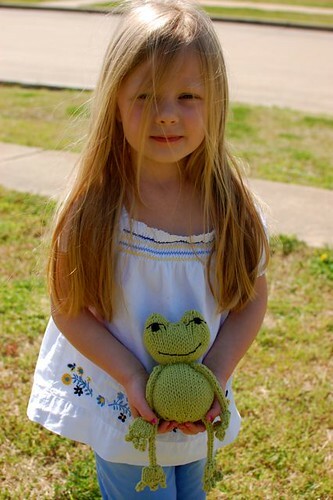 Oh, and this is also the "see how many different places we can take pictures of a knitted frog" post. I guess you never know where those things will hop to! *The original recipe says to preheat to 425 and cook for 25 min. That seemed too high and too long to me so I reduce both and they turn out fine! 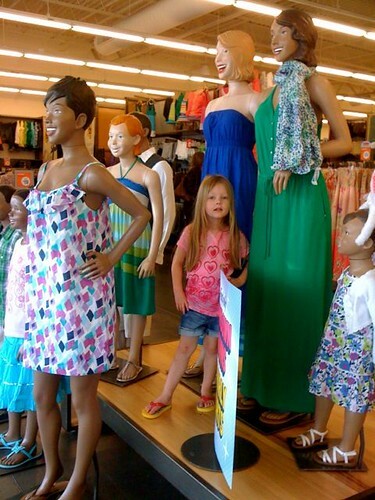 On one of our spring break shopping trips, I was sitting at the front waiting for the checkout to finish when I looked over and saw Emma G among the mannequins. 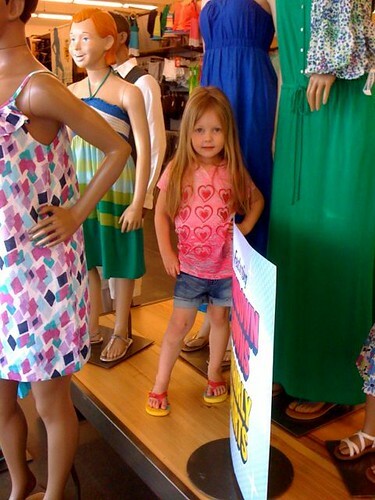 She posed for me very still like a mannequin when I asked her to, but the best part was when I looked over when she wasn't looking. She was acting like she was fixing their hair, accessorizing with headbands, and giving them a pep talk. I swear she is going to go into the fashion industry some day! Today we have our first coaching appointment. In the past couple of years, I started becoming familiar with life coaching. We know some people who are life coaches and have friends that have a life coach that walks with them. In the past couple of months, I've come to understand it even more. A coach is not a counselor who tells you what to do, what to change, or gives advice, but rather someone who listens, asks a lot of questions, and helps you determine and achieve personal goals. 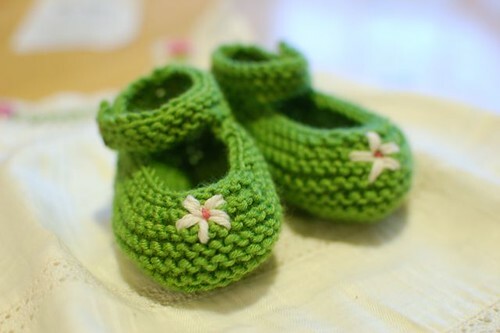 Have I mentioned how much I love making baby booties? Yes, I'm sure I have. Have I told you why I love making them? Probably, but here goes again. They are so stinking cute and tiny. Much like baby feet. 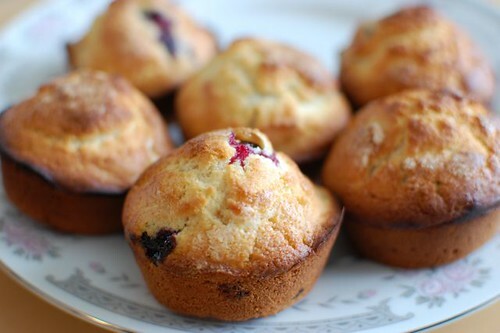 Small, perfect, and oh, so sweet. One of the hardest things about being back in the states is knowing I will miss the birth of our third niece, scheduled to arrive in just a few weeks. At least if I couldn't be there, I knew she would need something sweet from her Aunt Jen. These little Mary Jane's were perfect to go with the little dress I got her. With this one being the third little girl born to Zach and Anneke, mama was getting a little tired of pink....so I tried to go easy on the pink. Debbie Bliss Baby Cashmerino in Pea Green matched the dress perfectly. 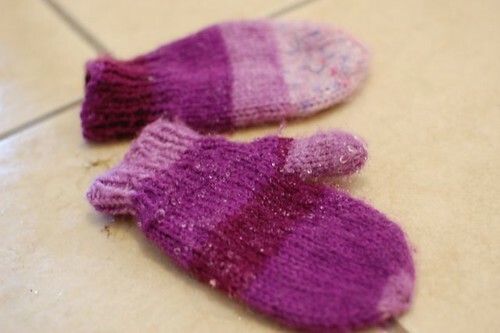 And these booties take so little yarn that you have plenty leftover for more! 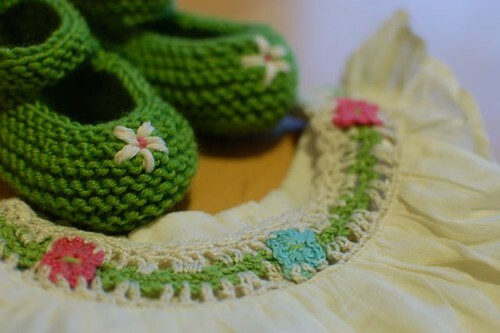 A little flower embellishment and they were off to S. Africa via some friends. 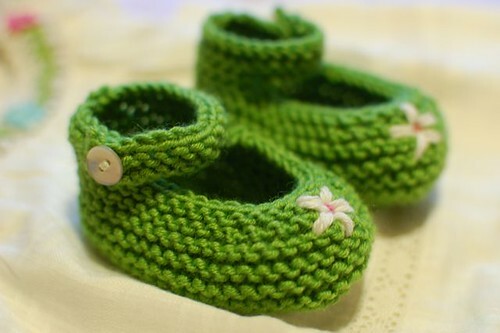 I hope they fit those precious little feet! I can't believe we've been in our place for over a month and I've yet to post inside photos. Time goes so fast! So for those of you who have asked for pics and have been holding your breath waiting, (some) of the wait is over! 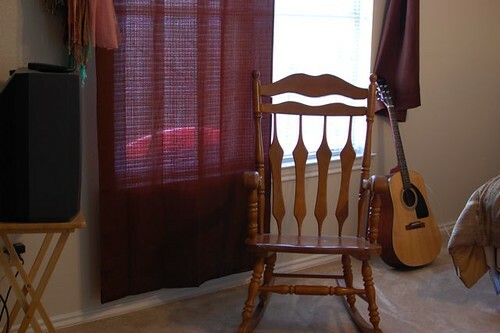 I am still doing some decorating here and there but here's some corners of some of our rooms. We'll start at the back door because back door guests are always welcome, right? It's actually more of a side door, but you get the point. 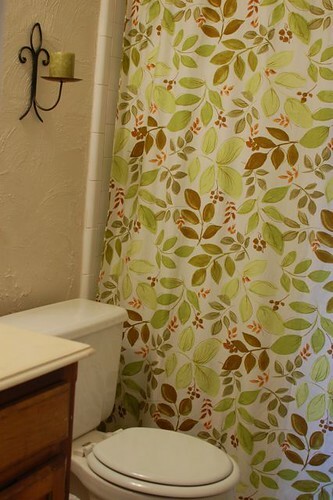 When you walk in our back/side door, you happen upon 2 rooms...our bedroom to the right and a bathroom straight ahead. I have been so overwhelmed with God's goodness as He has provided so much to make this place home for this season. It's been such a great way to talk to our kids about God's provision as well as maintain an attitude of thankfulness for everything He has given us. Everything you see in these rooms has been given to us with the exception of our mattress ($25 on Craigslist) and the shower curtain ($4 on clearance at Target). So this will conclude my first Corner edition. I'm afraid it's not too exciting. We do have a bathroom and closet in our room (to the left of the desk) but that's even less exciting than our bedroom! 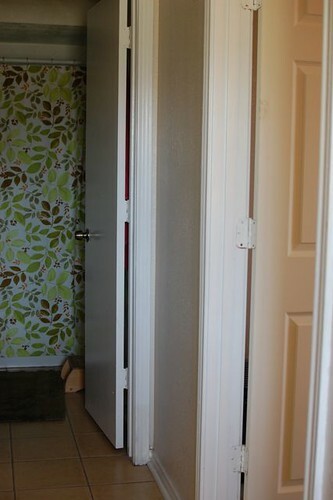 Tune in next time as we go further up the hallway to the kid's bedrooms! It gets more exciting the further we go, I promise! Last day for deals in the store! Join in on the spring cleaning! Maybe it's what home schooling does to you. I don't know, but in an effort to bring some incentive as well as some structure, it was necessary. 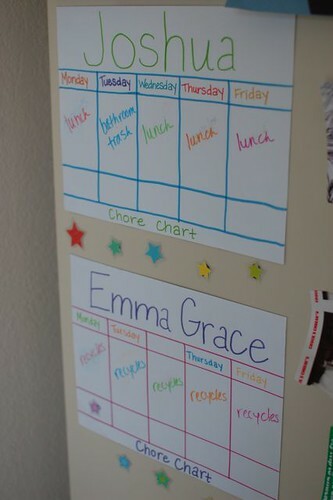 We started out with chore charts for the kids. 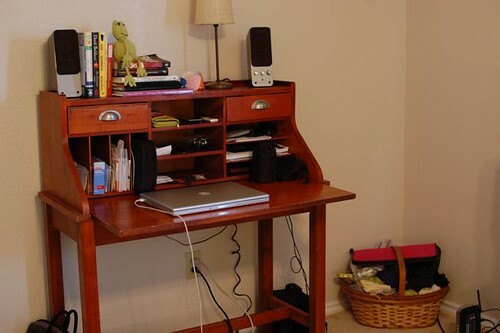 Just something simple that they can do that helps around the house, even in a small way. So far I only have 3 chores that we rotate: taking out the recycles, emptying the bathroom trash, and helping with lunch. Those simple things don't take long, but they do offer some help around the house. And more importantly, they are learning the value of helping with something. I chose to make a chart that would offer some flexibility. 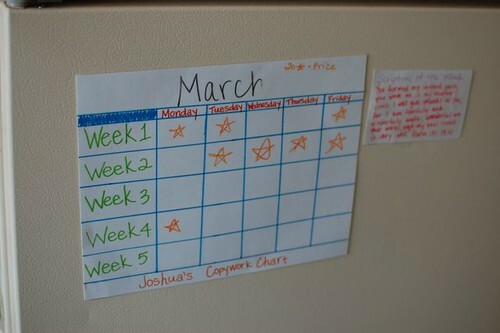 I wrote the kid's names and days of the week on a piece of card stock. Then I covered it with contact paper. Each week I write the kid's chores with a dry erase marker (note: will not come off completely when you erase). 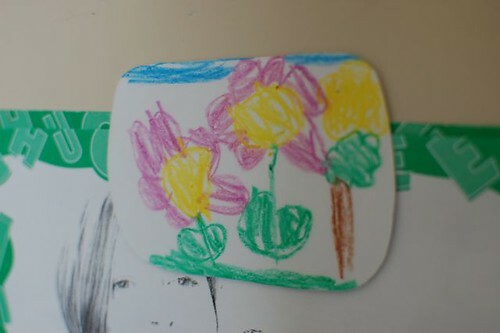 When they've completed their chore, they can put a magnetic star underneath (which I also made). So far it has worked well. They fight over taking out the recycles. I say if they are fighting over a chore, then that's success in my book! I also made a copy work chart for Joshua. Copy work is his least favorite thing to do, to say the least. The first day it took him 2 hours to copy 4 lines. Now I'm all about kids going at their own pace, but I knew he could do it faster. He just needed some incentive. So I started setting an alarm. If he gets his copy work done before it goes off, then he gets a star. If he has 90% at the end of the month, he gets to draw for a prize. Amazingly, he's gone from 2 hours to 30 minutes! I've gone a little crazy with all this contact paper! 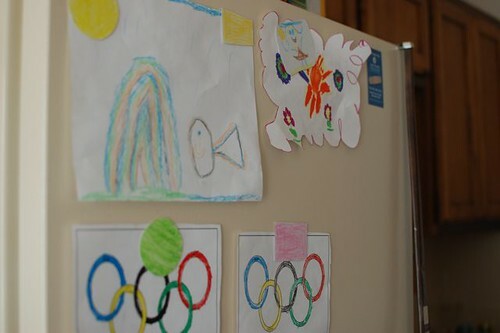 We've made lots of magnets (covered in contact paper) to hold up the kid's beautiful artwork. Aren't they fabulous!? PS: If you're needing a little sugar today, Starbuck's is offering a free pastry with your beverage today with this coupon. Only good until 10:30 AM! AND Ben & Jerry's is offering free cones today from 12-8! Wow! Talk about a sugar rush! 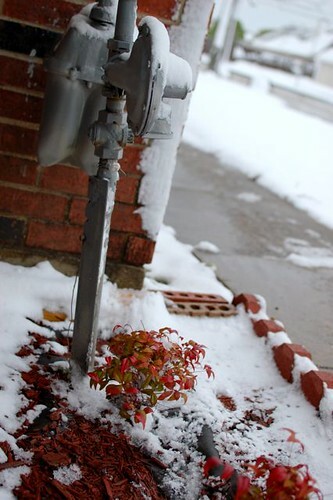 When was the last time it snowed...in Texas...during spring? Seriously. I feel like I'm living back in Connecticut where sometimes the last snow fell in April. 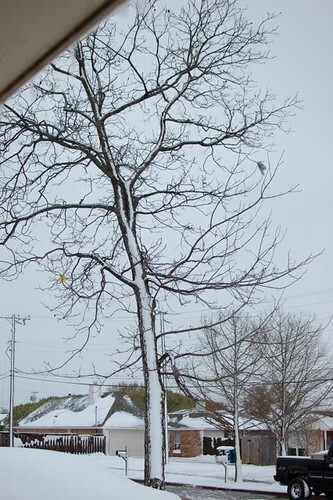 Oh, but wait, it was warmer in Connecticut yesterday than it was in Texas. What is wrong with this picture? I had dreams of planting herbs and flowers this weekend, not turning my heater back on while I tried to keep warm under afghans! Oh, yeah, and don't forget to check out the deals in my store! Well, the forecasters were right...yesterday was a very wet, cold day. Not a good day to plant flowers and herbs in honor of the first day of spring. Instead we stayed inside making the best of it...watching some movies while eating popcorn, knitting away (there's a certain mister who has a birthday coming very soon! 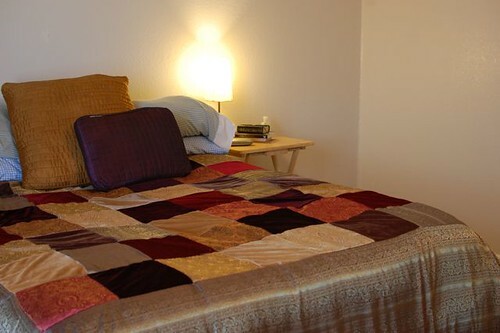 ), cozying up under a myriad of blankets and sleeping bags that were hauled to the living room floor. I think there was even an art project going on at some point. But we started the day out to some good old fashioned pancakes. 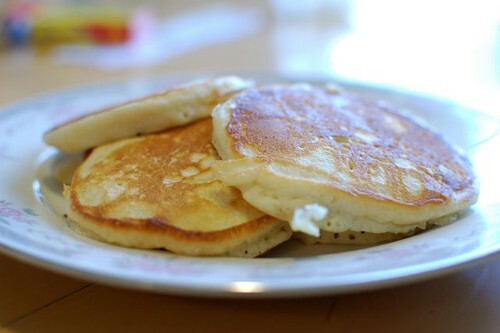 Nothing like pancakes to warm you up! Hope you have a great Sunday, friends! 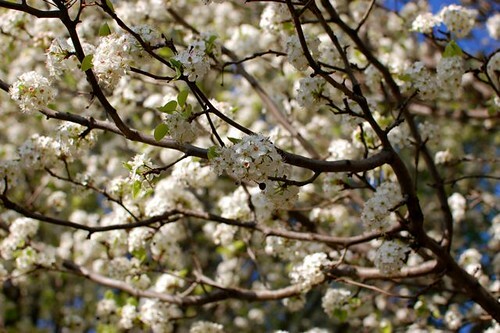 I am excited to welcome the first day of spring! Although, this weekend forecast calls for anything but spring weather! Temps in the 30's (F) and possible snow! What?! Well, spring, we welcome you anyways and look forward to beautiful weather soon! To celebrate the first day of spring, I've added some new items to my shop! 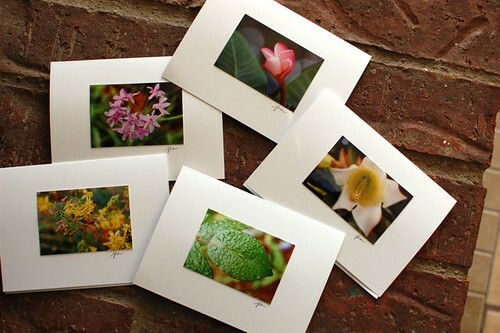 Springtime flower note cards and vintage~esque cloths are now available! I wanted to plant some flowers and herbs this weekend, but if the weather doesn't allow, we'll have to leave it for another time. Hope your Saturday, whatever season you're in, is fabulous! ...shopping! You might have seen Tuesday's post with Joshua looking quite cute in his new wardrobe. Nothing like new clothes to usher in a new season. It feels so good! ...pedicures and manicures! Pampering is so fun! ...experienced Sam Moon for the first time. Oh, my word! That store must be transplanted from the Asian markets. I've never seen so many necklaces and purses in one place! ...ate lots of good food and experienced some new restaurants. ...watched the kids brush up on their swimming strokes. Hope you've also had a great week! We're looking forward to welcoming the first day of spring tomorrow! I've got some fun arriving to my store so come back tomorrow! The Beginning Of My Murtaugh List?